Recently there has been a lot of media attention regarding naloxone, both locally in Baltimore, Maryland as well as nationwide. Thoughts about the drug Narcan, questions about it’s use and opinions on the new overdose prevention programs and training going on. Here is some basic information to help you understand what is naloxone and navigate some of the confusing information and opinions surrounding this life-saving drug. Naloxone (often known by the brand name Narcan) is a pure opioid antagonist. In the hands of a trained professional, Naloxone can safely and effectively reverse an opioid-related overdose. It does so by quickly restoring breathing and consciousness. It binds to opioid receptors in the brain, displacing the opioids and temporarily reversing their life-threatening effects. Remember, example of opioids are heroin, morphine, methadone, oxycodone and hydrocodone and they can be obtained both legally with a prescription and illegally. The Naloxone medication effects last between 30-90 minutes. There are many programs nationwide that are now making Naloxone available to people that undergo correct training. This includes police departments, EMT’s and other emergency workers, healthcare professionals, addiction treatment providers and even private citizens. Many local organizations that do not have these types of programs are advocating for them to their local and state governments. Locally, drug overdoses are now the leading cause of accidental death in the state of Maryland. 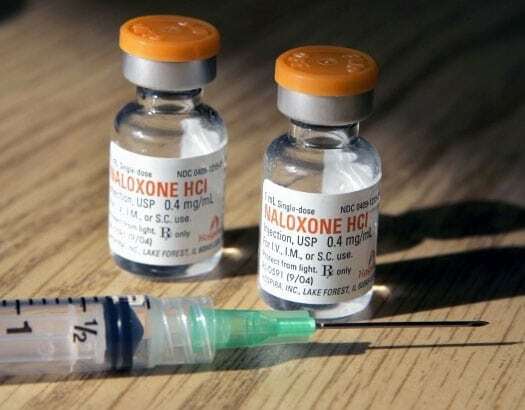 A bill recently passed throughout the state allows for free overdose prevention/response training where an individual will be trained in the administration of Narcan and receives a state-authorized certificate upon completion of the training. Throughout Maryland, individual counties and local organizations are offering this life saving training. Many opponents of Naloxone believe that this drug is saving the lives of people that aren’t deserving, mainly addicts. Most of these people still see those suffering from substance abuse and drug addiction as morally weak and reprehensible individuals who deserve what they get if they die from a drug overdose. Others believe it is a waste of time and money. Proponents of the drug believe that this is a harm reduction model that will be able to save the life of a drug addict and give them a second chance at overcoming their addiction and entering into recovery. There is little doubt that Naloxone is a life-saving drug. The availability of this drug could have saved numerous lives of parents, spouses, children and friends if it was available in the past. However, this is something to be said that having Naloxone available and stabbing every overdose victim to bring them back to life (while a life-saving opportunity) isn’t really enough. These overdose prevention programs must not only train individuals to administer Narcan but also train them in what to do with the patient upon awakening and being revived from the overdose. We cannot sit back and let someone that just overdoses on opiates walk away with a Coke and a smile and a pat on the back. The best plan would have a systematic approach where someone that suffered an overdose and was brought back by what is Narcan is immediately taken to a detox or an addiction treatment center or at the very least a medical professional who could then direct them to the help that they clearly need. A patient that is administered Narcan needs to immediately be placed in a process of receiving drug treatment, or else we are sending them off to overdose again. We need to place a system in place that not only saves the lives of drug addicts but also being to place them into a process of substance abuse treatment and addiction recovery. Naloxone is a wonderful drug and for many people in Baltimore and throughout the country, it can be the bridge from addiction to recovery.